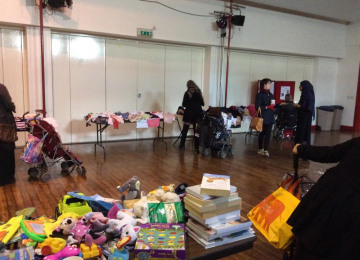 Providing local families with FREE access to used clothes and equipment, which will ease the cost of raising a young family in Tower Hamlets. 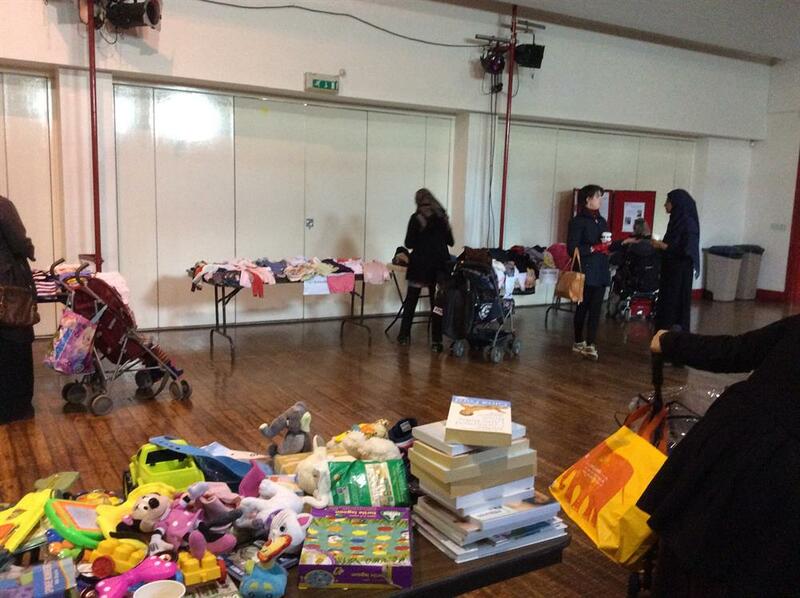 We redistribute donated items from local families by hosting events that allow families to access these for free. 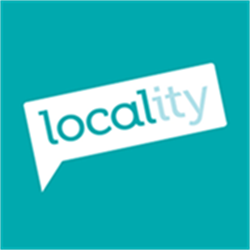 Those who donate achieve a sense of supporting their local community as well feeling confident that their donation has gone to good use. News of our project is spread through word of mouth as people want to share this means to giving back to the community. By reusing items that children often only use for a limited time, demand on purchasing is reduced. This saves family money as well as reduces the impact on the environment of manufacturing as many new items. Families that attend events appreciate the value in reusing and sharing within their community, they too often return to events with items to share. Most of our attendees are from low-incomeor vulnerable families, but not always as anyone can benefit from reducing waste and saving money. Together our borough is helping one another and helping the environment at a local and global level. The more we reuse the less we buy from new, therefore reducing demand. The project is simply expanding on what some people do as part of family or friendship groups; sharing and passing on. This project widens this concept within the local community and inspires a sense of community cohesion. Families at events will engage with each other across social, cultural and economic groups; sharing ideas and resources. Baby Bank has a group of committed volunteers who make each event possible. With no appropriate storage equipment or space it makes running the project much harder than it needs to be. We also need volunteers to stay motivated to continue to support the project. Growth will inspire commitment and vision for our long-term goals. We have recently created a committee so that the project will continue to meet the needs of its users. Members will also have the opportunity to further their skills by becoming committee officers and fulfil roles such as Chair, Vice Chair, Treasurer and Secretary. The skills nurtured here will support their journey into paid work opportunities in the future. This further broadens the positive impact the project has on the community at the grassroots level. Baby bank is a constituted community group created to provide the borough of tower hamlets with free and accessible children’s clothes and toys. 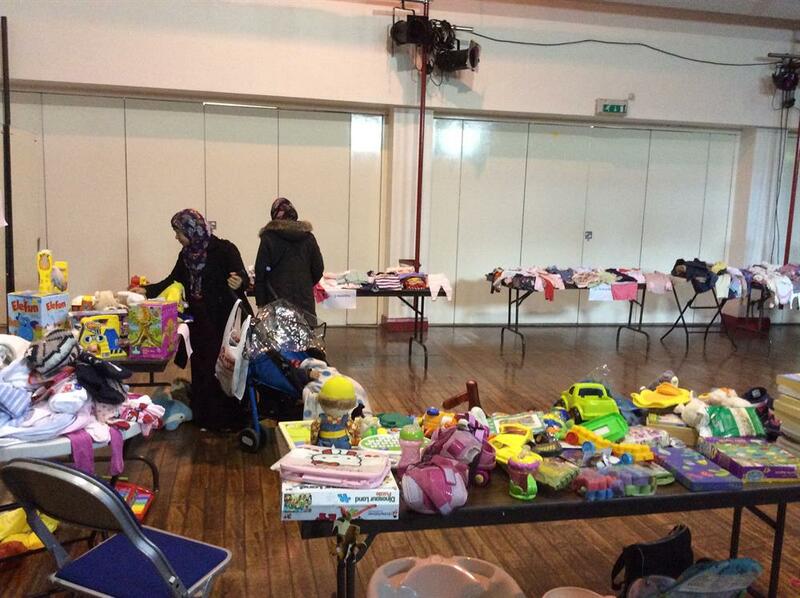 We collect and store donated items and redistribute them to the community through dedicated events held at local community and children’s centres. 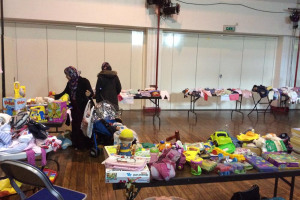 We also provide items to families in need in between events where necessary. We hold on average 1-2 events per month and try our best to vary the venues in order to serve all parts of the borough. Just as people are becoming more in need of food banks, Baby Bank is there to provide much needed support in clothing for children where families are finding it increasingly difficult to purchase new clothing for their growing children. We are also encouraging the community to always try to recycle clothing rather than disposing of them when they no longer fit their child. 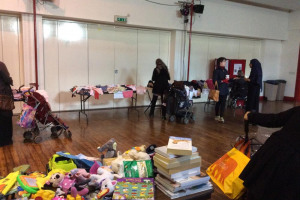 Families accessing the Baby Bank Project can donate the items they no longer need and use, exchange their items for needed items or simply take what they need. We understand that some families have nothing to contribute to the project and that’s fine. 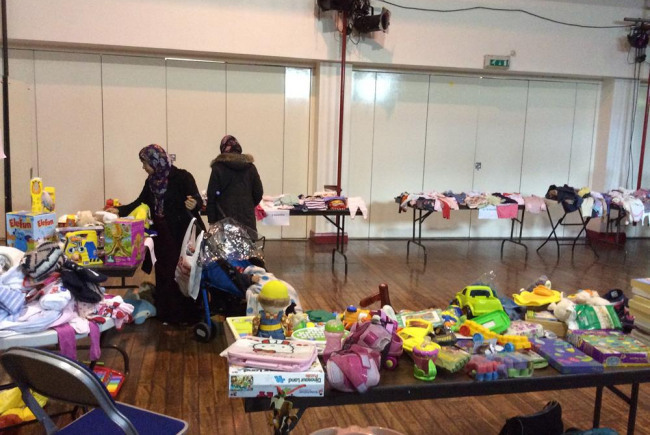 Along with children’s clothing up to the age of 10, we take toys, books, footwear, baby baths, maternity and breastfeeding wear, non-electrical baby bottle sterilisers, cots, high-chairs, pushchairs, baby bouncers and other baby related items. The events are proving to be a safe space where parents can meet to socialise over a cup of tea and provide necessary networking support; sharing information and ideas. Furthermore, volunteers who have become involved in the running of the events are increasing in confidence and learning new skills from organising and running events. They are engaging with project users, feeling as though they are making a real contribution to the local community. Some have gone on to search for further training opportunities to prepare them for stepping back into work. Including members of the committee who have developed experience of chairing, contributing to and minuting formal meetings. They have developed an understanding for sticking to agendas and taking responsibility for actions. We have also recruited for key officer positions in order to further develop skills and abilities. Project Delivery Manager: Laura Cullen The Project Delivery Manager takes legal responsibility for receiving and spending the funds raised and ensuring the project is delivered.